Stainless steel cable railings are just one of many options we provide when designing custom railings for residential or commercial spaces. 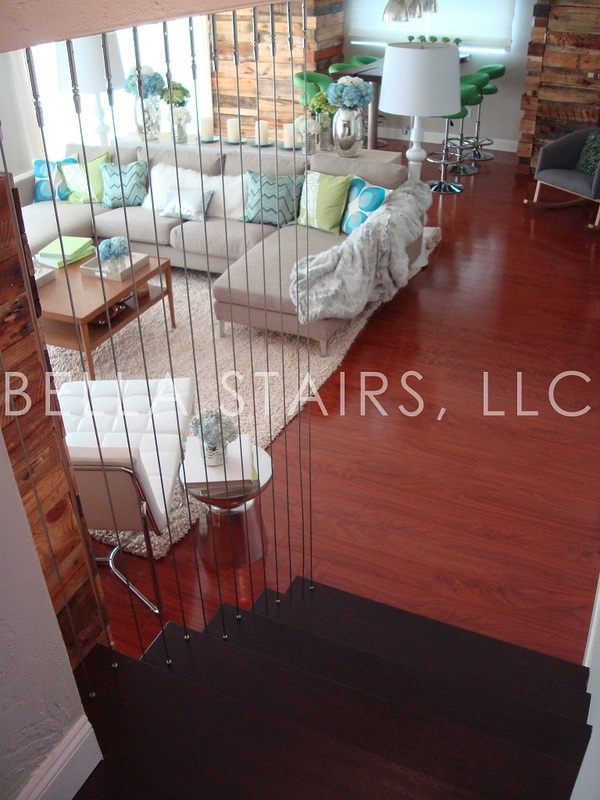 Incorporating cable railings into your design could be ideal for achieving more of a contemporary look to your space. 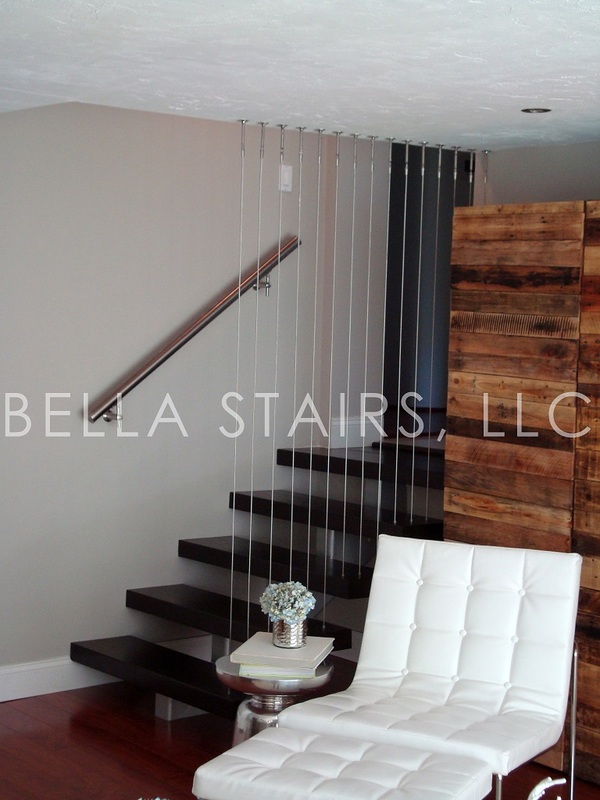 These sleek, modern railings are great for transforming any outdated space. 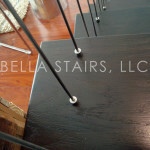 Cable railings are made of 316 grade stainless steel. Stainless steel in 316 Grade is ideal for outdoor use due to its greater resistance to corrosion than other grades of steel. The recommended spacing between cables is three inches apart. 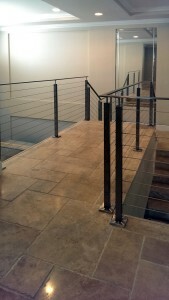 Stainless steel cable railings can be installed in one of two fashions. 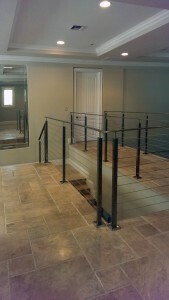 One way we have installed cable railings is by anchoring them vertically, from the treads to the ceiling. This is a simple way to create a unique aesthetic to your modern staircase design. 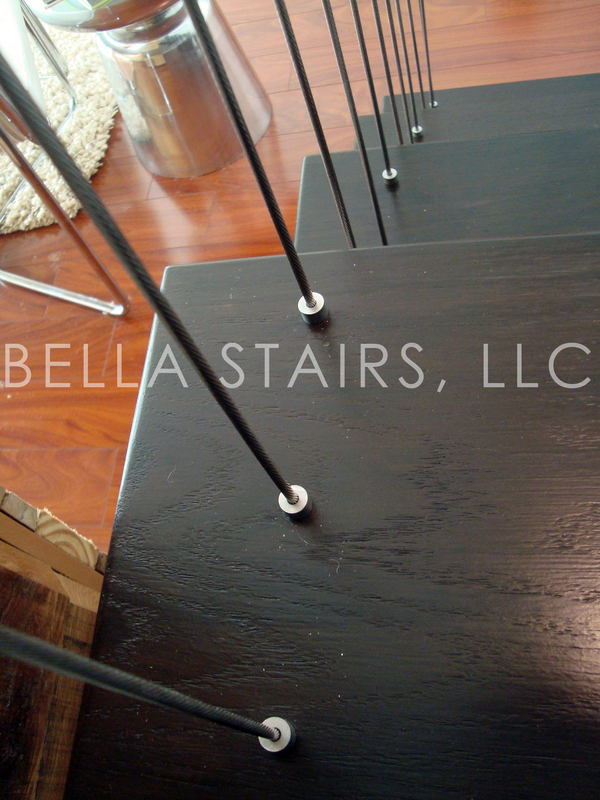 Another way of installing stainless steel cable railings is by anchoring them horizontally to stainless steel posts. 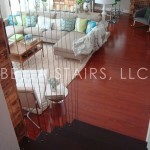 Cable railings are anchored in place by stringing each stainless steel cable through each post. Stainless steel posts can be installed either side-mounted or top-mounted to the finished floor. Once the cables reach the end posts, they are secured with stainless steel anchors which can be tightened if any cable begins to loosen. By swapping out your outdated railing system with a sleek cable railing system, it completely transformed any space into modern times.